Control the volume control by touching the "ears"
The ultimate accessory for your iPod, iPhone, MP3 or any portable audio product. 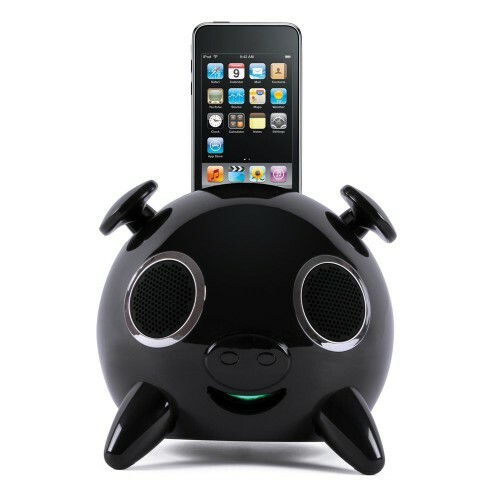 Don't be fooled by its cute looks, the iPig packs a powerful punch with a built-in active amplifier, separate high range tweeters, mid range drivers and a booming subwoofer, resulting in remarkable HiFi sound. Touch the left or right "ears" to adjust volume up or down or use the supplied remote control for full iPod access.